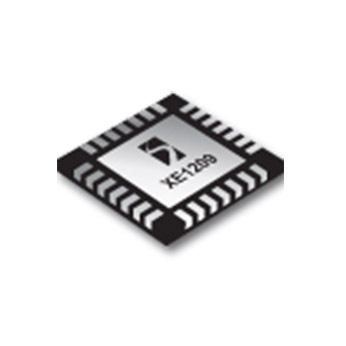 The XE1209 is ideally suited for very short range data transmission (up to 3 meters) with an average power consumption in TX mode of only 1.8mA (for a broadcasting range of below 1m). The XE1209 includes a built-in carrier detector that on presence of an incoming signal can wake up the complete communication system. A RF front end system can be designed with the XE1209 and fewer than 10 external components, including a low cost 32kHz crystal oscillator.